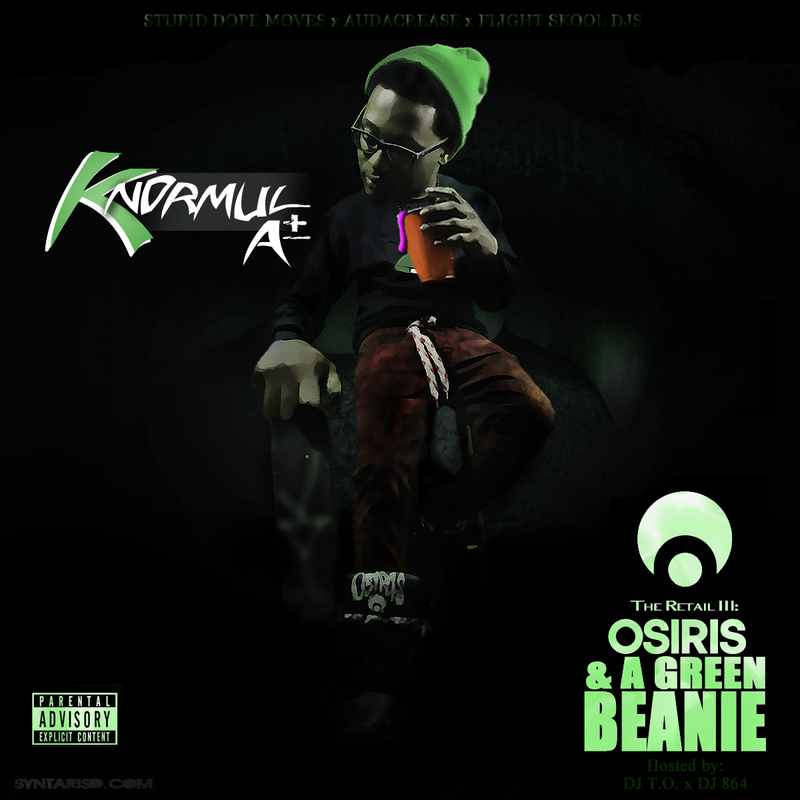 KNORMAL A+: The Retail 3: Osiris and a Green Beanie HOSTED BY DJ T.O/DJ 864 | GLOBAL SHYNE INC.
release his latest mixtape The Retail 3: Osiris and a Green Beanie on June 28th. Its namesake is in reference to Osiris Shoes, the major skate company that recently co-signed and sponsors Knormal A+. He is also endorsed by rising United Kingdom clothing line Fresh Ink Clothing. 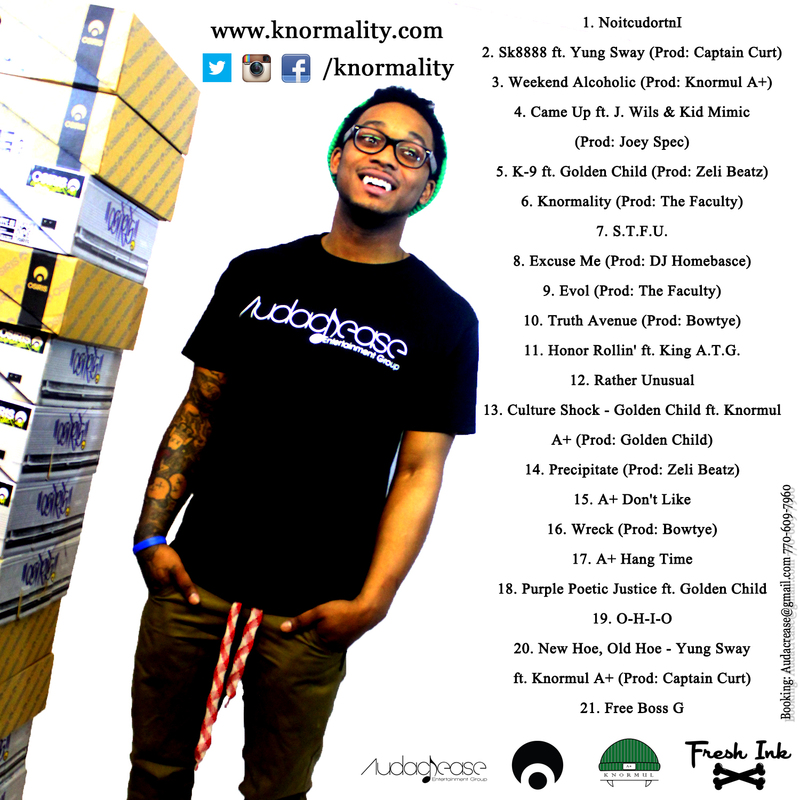 Knormal A+ was born in Cleveland, Ohio, but was raised in South Carolina and now resides in Simpsonville, South Carolina. What started out as writing and poetry turned into lyrical ambition and aspirations to be a recording artist. He will be releasing the visuals from the first single of his mixtape, Weekend Alcoholic, soon. Audacrease Entertainment Group LLC is an independent recording label based in Columbia, South Carolina. Contact Ife S. Ekpenuma of Audacrease Entertainment Group LLC for further information on Knormal A+ at audacrease@gmail.com.